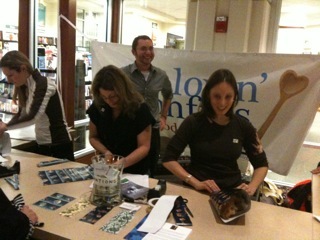 Barnes & Noble turned over their gift-wrapping station to ‘Spoonfuls the week before Christmas! With a slew of awesome volunteers, we wrapped gifts for customers from all over Copley Place and The Prudential Center – folks were incredibly generous with holiday spirit (despite our less than perfect wrapping) and we were able to raise almost $1000 from our day at the PRU! 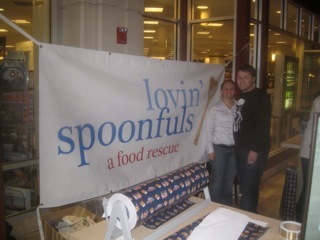 Our heartfelt thanks to Patrick, Deb, Heidi, Kimberly, Rennie, John, Christopher and Gina for all their help!